During March I was finally able to get the ball rolling on getting the revised second edition of my novel completed in time for a summer release. I’m pleased to say that my first choice editor has agreed to take on the task of editing my baby, and I can’t wait to see the improvement in my manuscript once she’s finished working her magic. 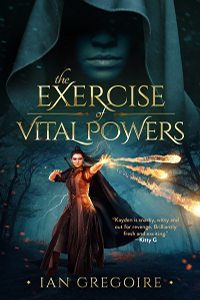 Those of you who missed out on the original release of The Exercise Of Vital Powers last year will have the opportunity to get your hands on the new and improved version from Monday, 2nd July, when my book rises like a phoenix from the ashes; so mark the date on your calendar. The only matter that still needs to be finalised is a new cover for the book. My original DIY front cover pretty much killed the sales potential of the first edition, so I will NOT be taking on artwork duties this time around; I’ll leave it to a professional. I have narrowed down my short-list of potential designers to just two candidates whom I’ll be contacting in the next few days, before making a final decision on who to hire. With any luck I will have a cover reveal for you all by the end of April. That pretty much covers everything I wanted to convey in this status update. I’ll be providing more details, starting in May up until publication day, during the pre-release marketing campaign that I wasn’t able to give the original release of The Exercise Of Vital Powers. 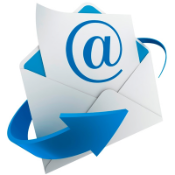 For those of you who want to be kept informed about the progress of other future projects, including the sequel to The Exercise Of Vital Powers, I would advise you to subscribe to my newsletter so you can read the latest developments weeks before I inform everyone else via social media. Yay! I’m so glad you’re back on track and have set a publication date. I’d be happy to feature you on my blog to promote your books. Great news Ian. I’ll be interested to reread it. Best.